I’ve been trying to do a little more Nepali cooking lately and have been venturing down the road of Nepali spices. Before I knew anything about South Asia, whenever I heard the word “spices,” I thought of back pepper and maybe paprika. But when I got to know Nepal and Nepali culture, I became aware of things like turmeric (besar), cumin, (jeera), hot pepper powder (khorsaniko dhulo), and my all-time favorite: timur, which doesn’t have a direct equivalent in the West, although people say it’s related to Szechuan pepper. Although I’ve gotten to know and love many of these spices, one flavoring that still remains elusive to me is Hing. 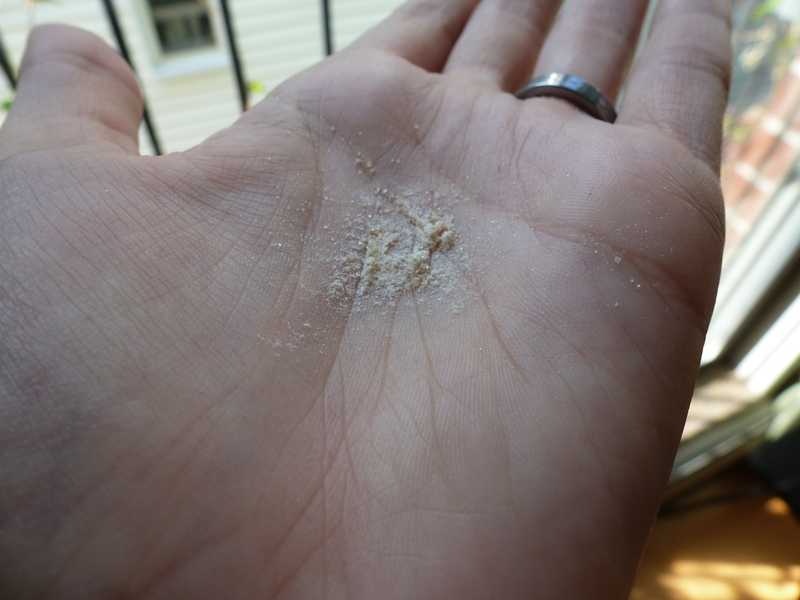 Hing is a very unique-smelling white powder that is used in South Asian cooking. I’ve actually never seen any Nepalis add it into their food, but I learned about it a few years ago when my mom brought a little bottle home from the local Indian store. I didn’t know anything about it, so I asked Tri. Apparently his mom used to put it in cooking when he was younger, and he has very distinct memories of its pungent flavor and odor. Hing has an intense smell to it, that’s both slightly sulferous and (this may sound bizarre), similar to the smell of gasoline. As I was looking it up on the internet, I read that some people think it tastes like leeks, and I do taste that in there. You can imagine this mix of flavors and smells brings out strong reactions in people. Even after Tri told us about his experiences with hing, I was still mystified by this spice, especially when my maternal grandmother told us her story about hing. My grandmother grew up in a small town in Missouri, and when she was a kid, her grandmother made my grandmother wear a little pouch of hing around her neck, apparently to prevent sickness. She didn’t call it hing but instead called it by it’s Western name asafoetida (asa in Persian means “resin” and foetida in Latin means “stinking”). Since my poking around the internet told me that asafoetida originated in Afghanistan, I wandered how and why hing had become part of my grandmother’s heritage. I found this website that describes how hing is cultivated and what it’s used for. It also includes a bit of it’s history. While reading this source and others, I kept finding information that suggested asafoetida was introduced to the Western world during the time of Alexander the Great through trade routes that ran from the East to the West. 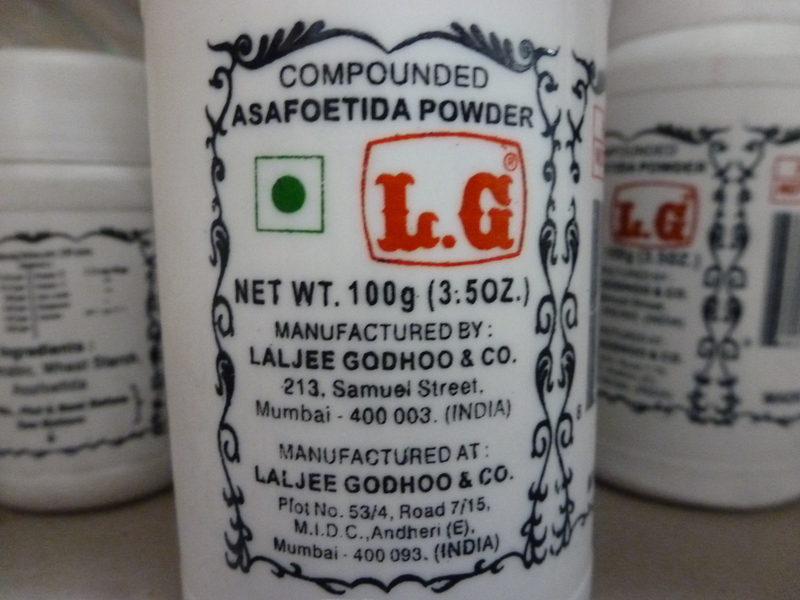 In fact, this website gives a great description of asafoetida’s ancient history. Through further reading, I found that although it was used in Europe for a period of time, it became a less popular addition to food during the middle ages. But Europeans continued to use it for medicinal purposes. Which is, I suppose, how it ended up in a pouch around my grandmother’s neck. Apparently there’s even a story called Penrod Jashber written in 1929 by an American author named Booth Tarkington that tells the tale of a little boy who is forced to wear a bag of asafoetida around his neck to ward off sickness. Although I’m still not sold on its ability to keep the germs away, hing is apparently very healthy for you. WebMD mentions that there’s evidence that hing can help people with IBS and can also bring down high cholesterol. So despite its intense smell, I think I might try to eat it more often. This entry was posted in American Culture, Family, Food and tagged Afghanistan, Alexander the Great, Asafoetida, Booth Tarkington, Hing, Missouri by nepali jiwan. Bookmark the permalink. That sounds good! I have farsi in the fridge that I’ve been meaning to cook, so maybe I’ll add hing to that dish tonight. Interesting post! I first came across hing only a year or so ago as asafoetida in an English friend’s Bollywood cookbook. My MIL didn’t know it until I worked out it was called Hing (the friend said it said that on the container too I think). MIL said she hated it. I’m not keen. She also said that it was used by devout Hindus (to substitute for garlic, ginger, onion which make you impure(!)) and also in times of mourning when you are again abstinent from certain foods. Obviously different people do different mourning rituals now esp. Do you know the one about you are not allowed the red lentils only the yellow ones when abstaining from meat, fish etc? Something about a different sort of protein in the red lentils. That’s so interesting that it’s used as a substitute for ginger and garlic! During Hindu mourning rituals in Nepal, I don’t think you’re supposed to have any daal. I love this spice. I always use it when I cook lentils because it adds something special. I’m going to have to try the eggs thing too. When hing is cooked, the intense aroma is tamed and it adds a gentle fragrance to the food. You have to add it early in the cooking process, when you sizzle the spices in the oil. Yes, hing is used by strict vegetarians who avoid onions/garlic, as the aroma is a substitute for those flavors.